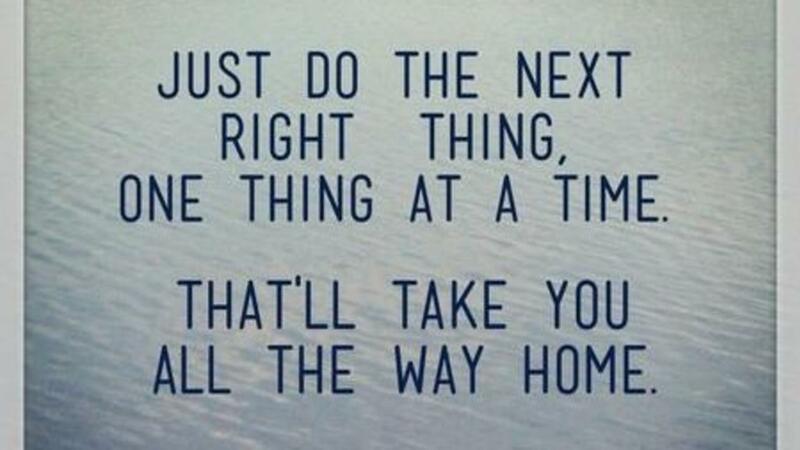 And with my kids, when they are pressing my buttons and I’m tired and just have little patience – this thought comes to mind - 'Just Do The Next Right Thing' - and I take a deep breath and try and reset myself. Let go of the past, let go of the resentment, let go of the need to be certain of outcomes. All of that. Just Do The Next Right Thing. And have faith you’re headed in the right direction. Cause you are. It feels like September has been a busy month and so full of ups and downs. But this weekend, while the kids are at their dad’s, I’ve found I’ve had time to reset myself and rest up (cause sleep helps everything!!) and am feeling optimistic about October.